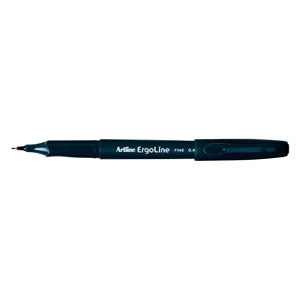 Artline 3400 Ergonoline Marker featuring an advanced ergonomic grip designed for greater comfort and increased control while writing. The ceramic roller ball ensures smooth writing. Ink is instant drying and blur proof.